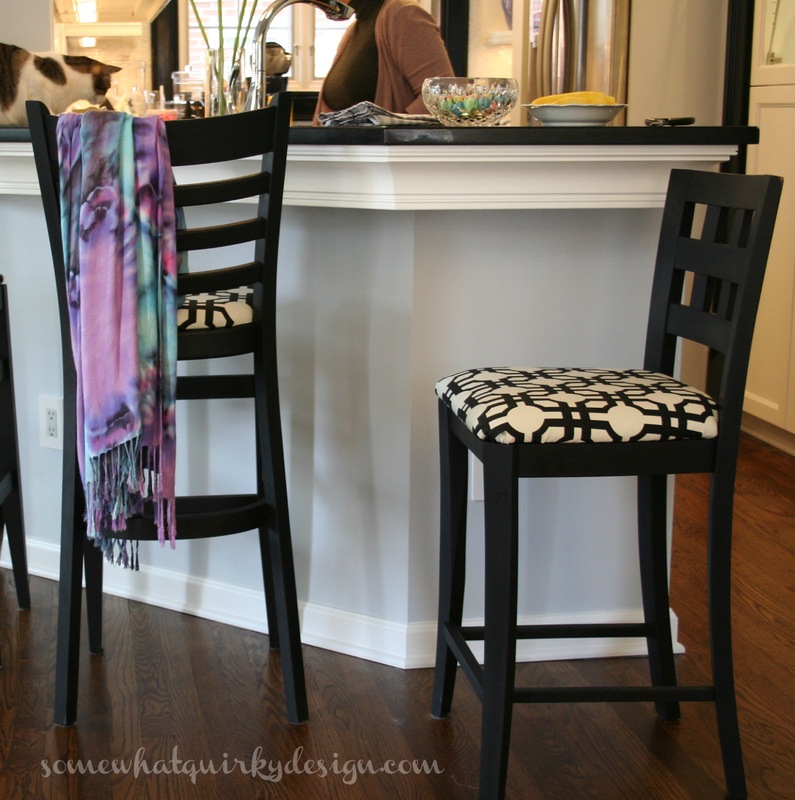 Somewhat Quirky: Brunch and Bar Stools & A Winner! 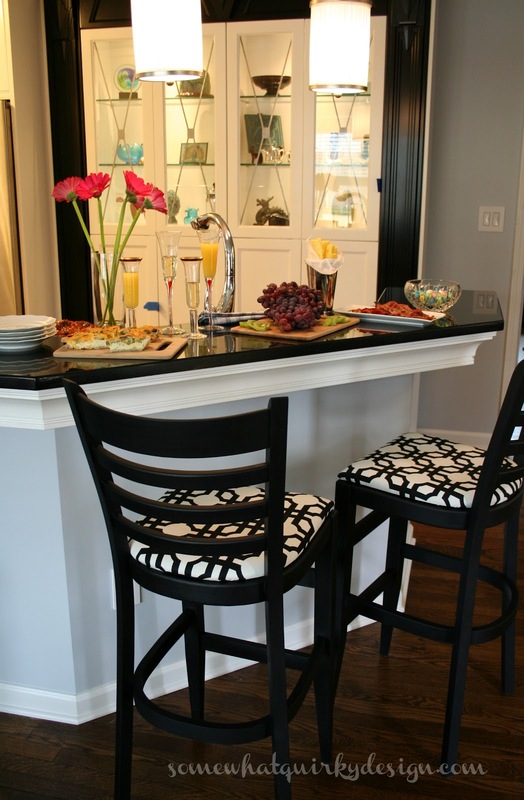 Brunch and Bar Stools & A Winner! I told you that I would be having the drawing for the HomeRight Steamer Plus yesterday - and I did. The winner is Kellyr78. Congrats Kelly and happy steaming! Recently my friend Jennifer had her kitchen redone. I'm still trying overcome my jealousy. We are still finding ways to christen it. Christening number three was Easter brunch. 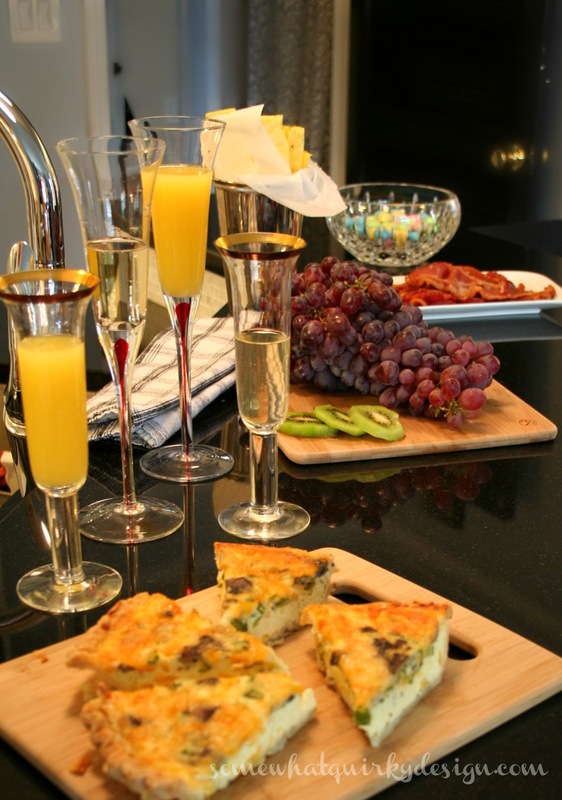 Easter brunch was served on their new bar. A bar that required new bar stools. 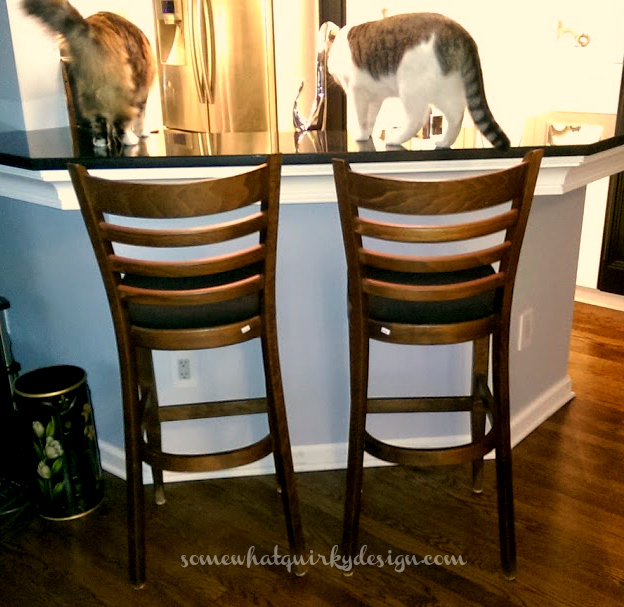 And when you've just dished out a jillion dollars for a kitchen and dining remodel, new bar stools may not be in the budget. 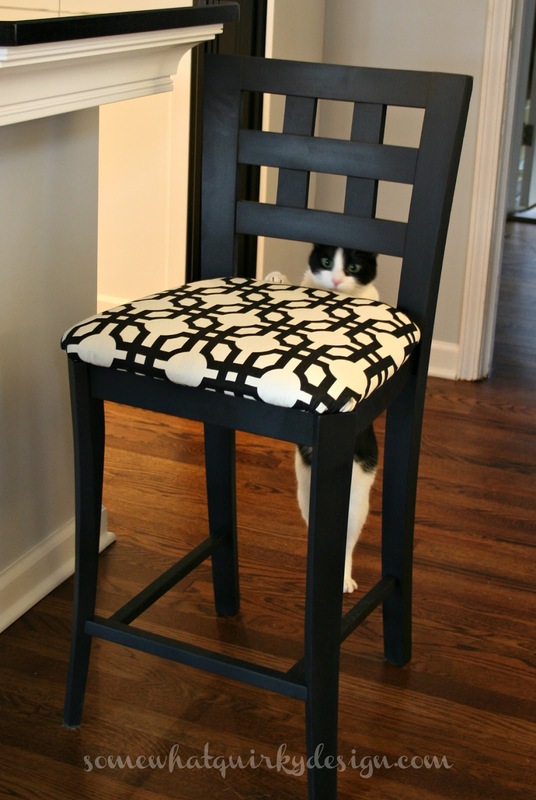 But being the supportive friend that I am I offered to do a little update on the second-hand bar stools she procured as well as the much loved "cat stool" that provides a spot for which-ever of 4 cats claims possession first. The original bar stools were actually really nice, but they didn't highlight the new kitchen design and colors. 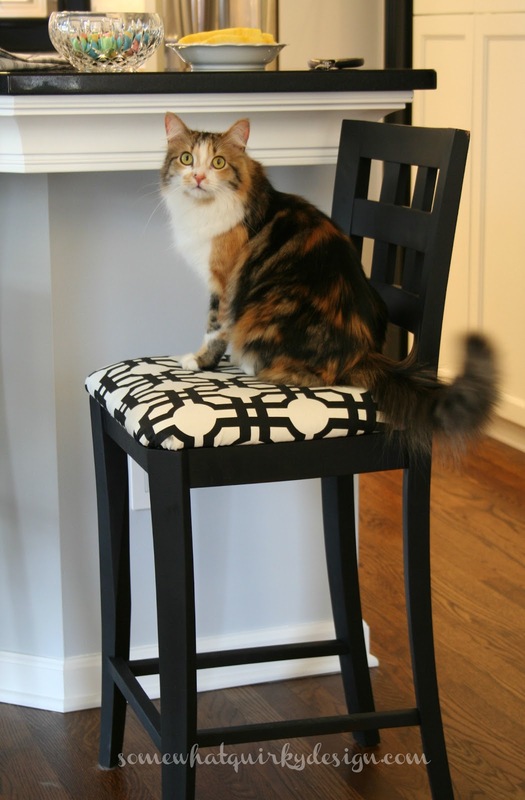 The cat stool, on the other hand, was pretty shaggy and banged up. 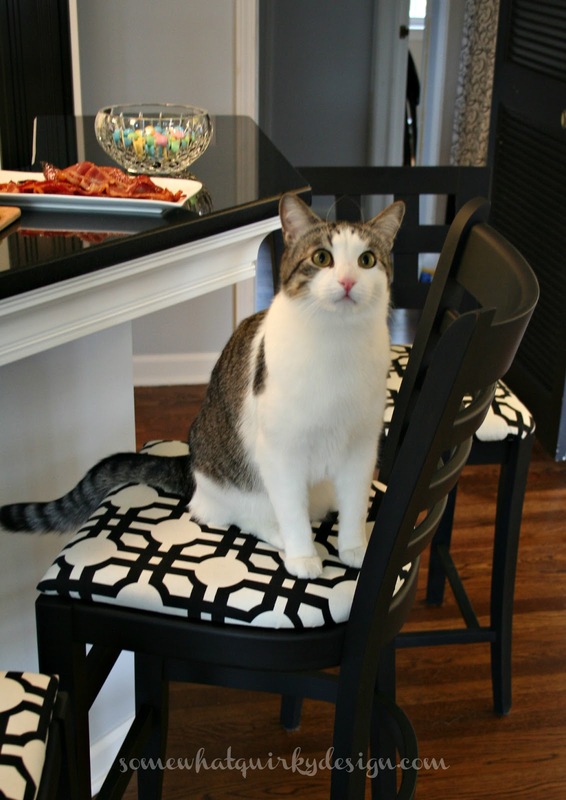 The chairs were painted up in Country Chic Paint in Liquorice. It's a true black, but maybe a kinder gentler black. For the fabric we dug out some fabric from a previous project I did for her. You might remember it. I think they turned out pretty dang great. They also received the cat housekeeping seal of approval. Snixxle said "They are so beautiful I'm almost distracted from this lovely candied bacon!" Pippa said "I love the lovely glow of the wax finish!" And I love having a place to sit and bask in the glow of the new kitchen - and watch someone else do the work. That is if the cats will share with me . . .
Congratulations to Kelly on the win. 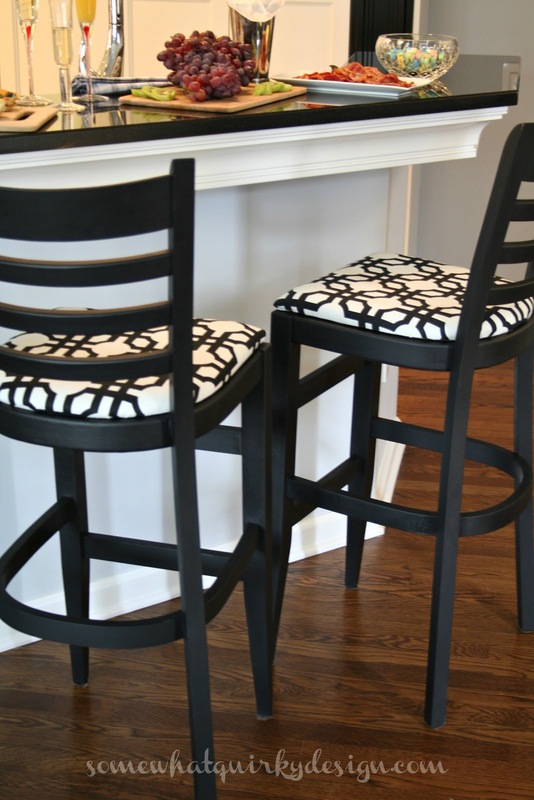 Absolutely love the bar stools. They are so posh. 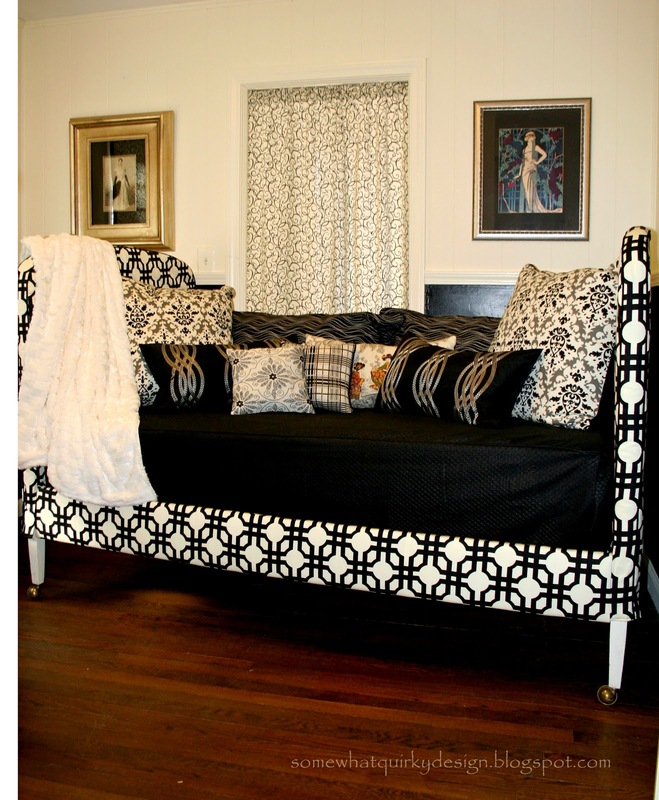 Where do you obtain Country chic paint? Those go great with her kitchen! You do such a great job painting and making them new. 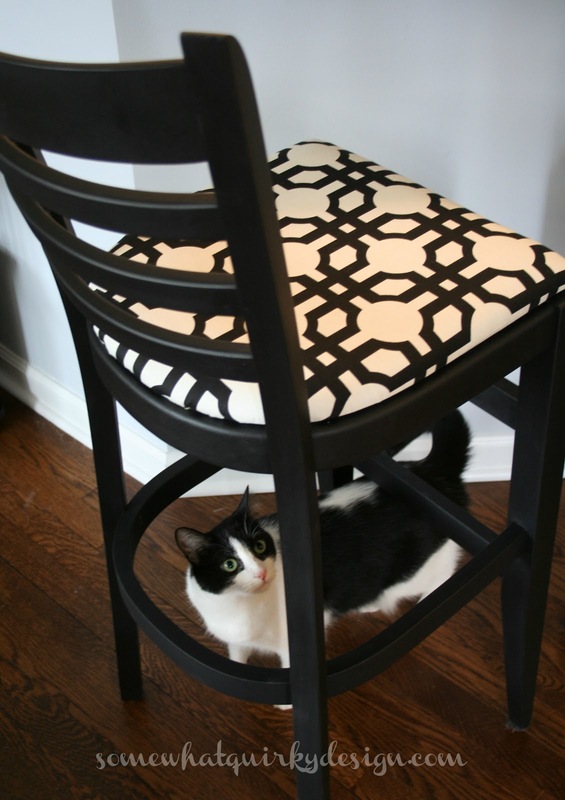 I love the stools! Well done! Now, I'll need that candied bacon. I used a combo of this recipe: http://www.foodnetwork.com/recipes/emeril-lagasse/cayenne-candied-bacon-recipe.html and another one from my pin board that also included a touch of Dijon. I think the ones that use just brown sugar lack something. I generally don't like spice but the cayenne isn't hot in this - just flavorful.